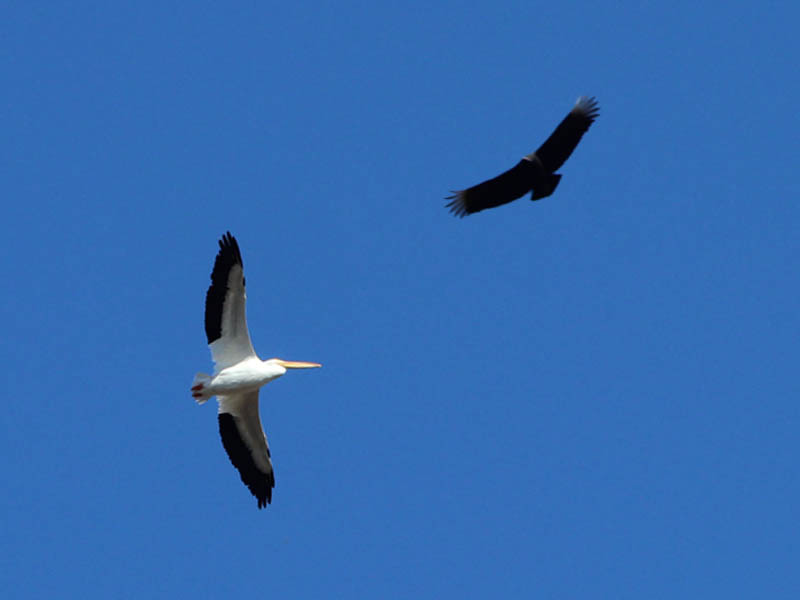 This unusual juxtaposition was observed high in the sky over the Joppa Preserve. 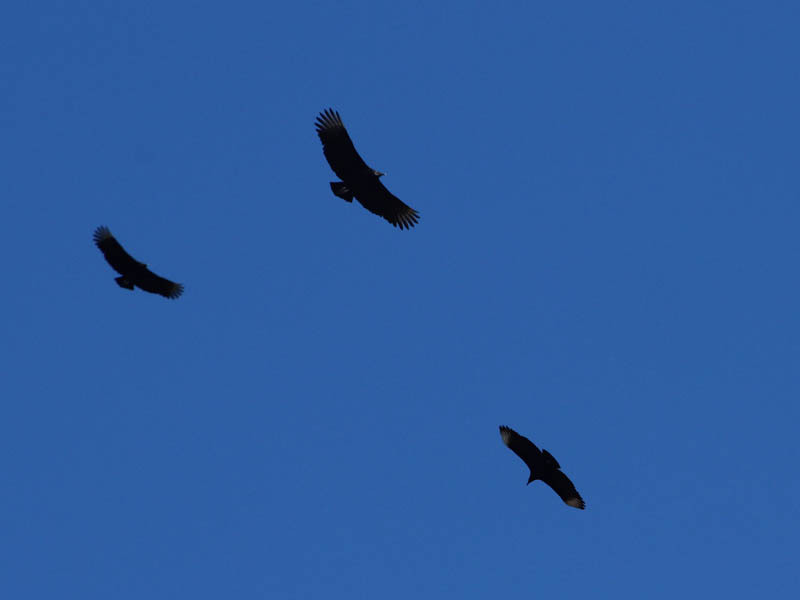 We first noticed a small kettle of Black Vultures circling lazily over head in a midday thermal. 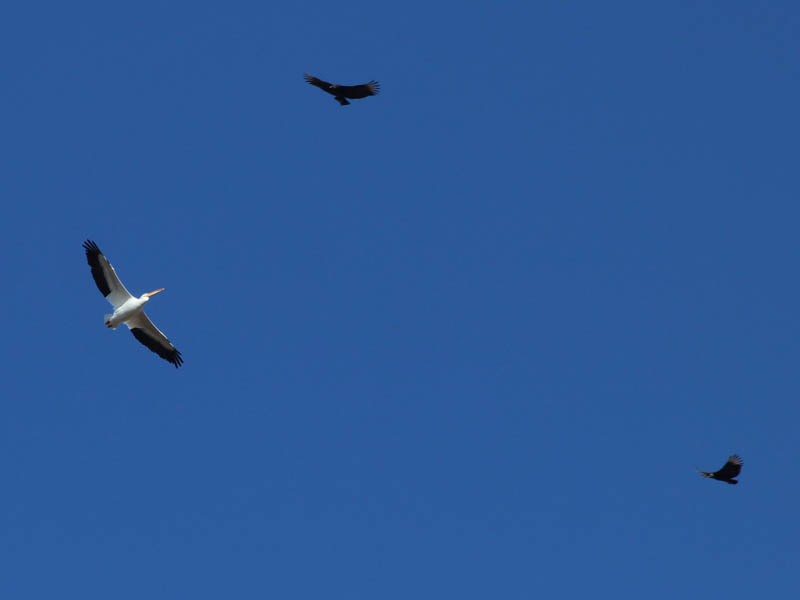 We were enjoying watching these large birds soar through the clear, blue sky, when we were surprised to see an even larger American White Pelican join them. 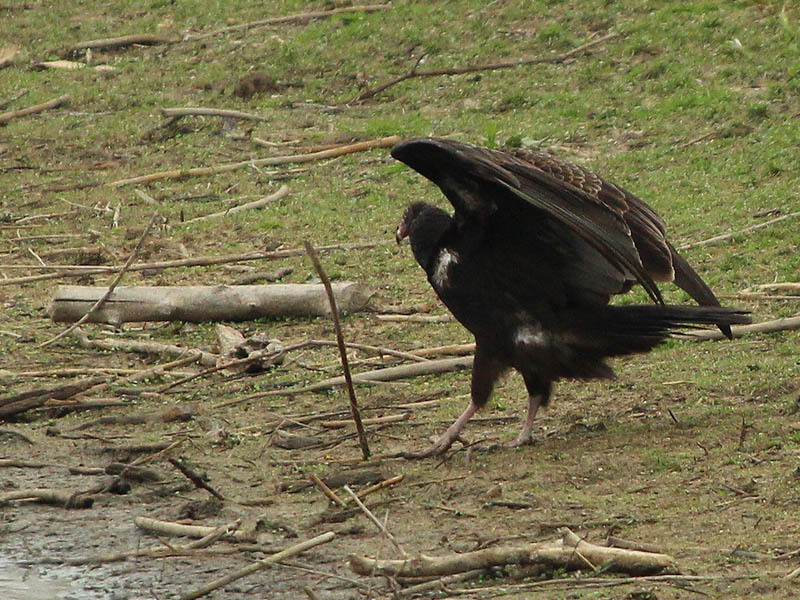 Black Vultures are big birds. 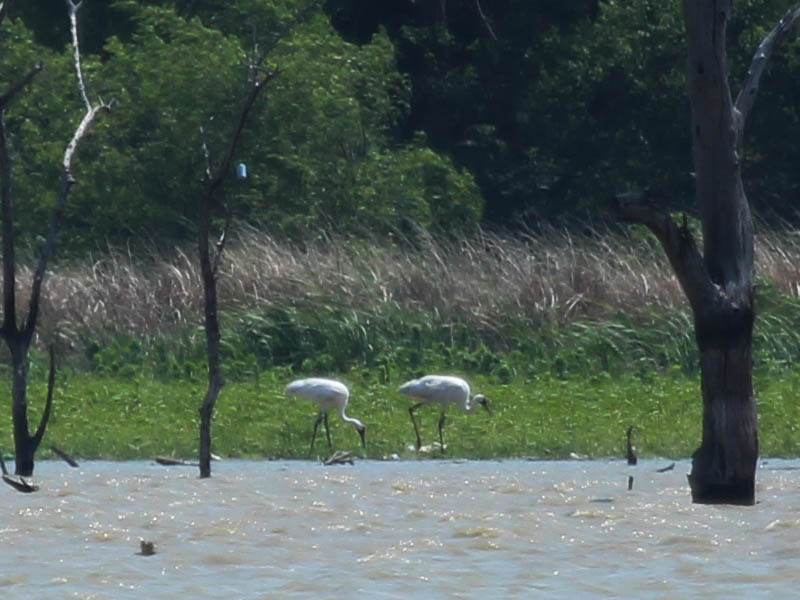 They sport a nearly 5 foot/1.5 meter wingspan, but they were dwarfed by the even larger American White Pelican. These pelican have huge wings that can easily span 9 feet/2.75 meters. So, what was a pelican doing flying with vultures? Its hard to say for sure. 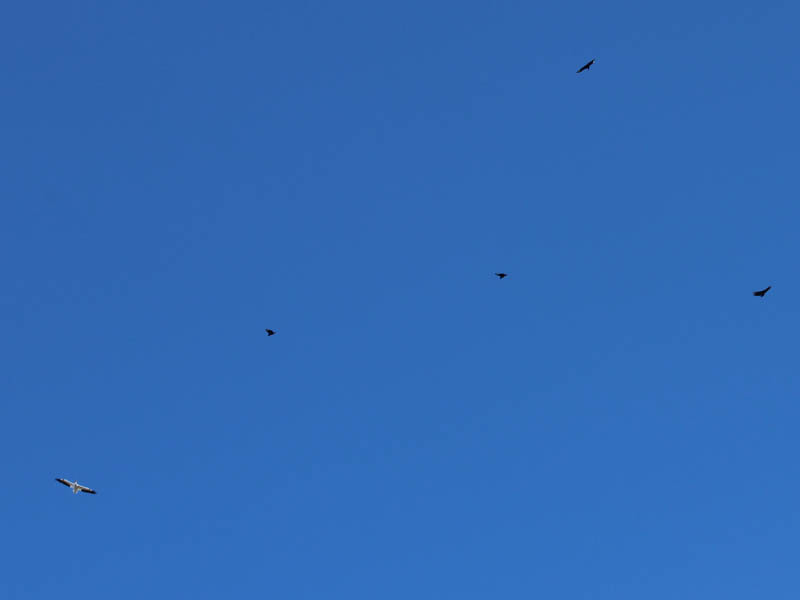 My guess is that this congregation was just a coincidence, with the pelican simply making use of a convenient thermal to help him gain altitude.